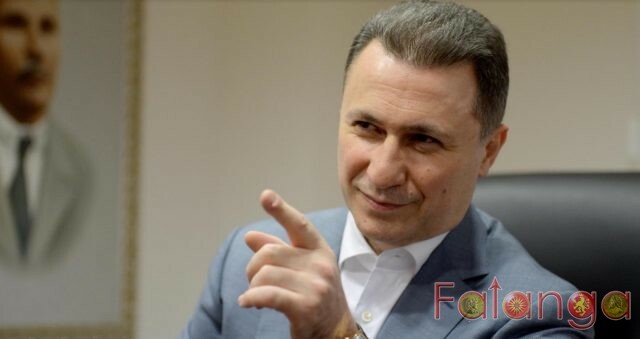 Nikola Gruevski, the honorary president of VMRO-DPMNE, believes that Prime Minister Zoran Zaev Zaev will make the companies and employees think about avoiding the payment of taxes.. According to Gruevski, Zaev firms will make them “creative” in that direction and prepared for major risks in tax evasion. “The other day, in an attempt to justify the increase of the personal income tax, Zoran Zaev said that someone could not pay the same tax to 10 thousand denars and 10 thousand euros salary (approximately 610,000 denars). This is in the sense that the flat tax and those with a salary of 10 thousand denars and those with a salary of 10 thousand euros pay the same tax and therefore the flat tax was not good. Indeed, if a person superficially receives the information and does not get deeper, it will sound logical and fair,” Gruevski wrote on social networks. “But in reality, this is not the case with flat tax. With 10.000 denars net salary grossly calculated one pays 1000 denars personal income tax. And that’s a 10 percent personal income tax. A person that takes 10,000 euros in salary, or in denars of around 610,000 denars pays about 61,000 denars personal income tax, which is again 10%, but to 610,000 denars net salary. Are 1,000 denars and 61,000 denars paid tax in one month the same? To Zaev it’s the same, obviously. But in reality, it’s not the same. But what Zaev did not say is that the increase in taxes will make companies and employees think of avoiding tax payments. Firms will make them “creative” in that direction and prepared for major risks in tax evasion,” Gruevski wrote.